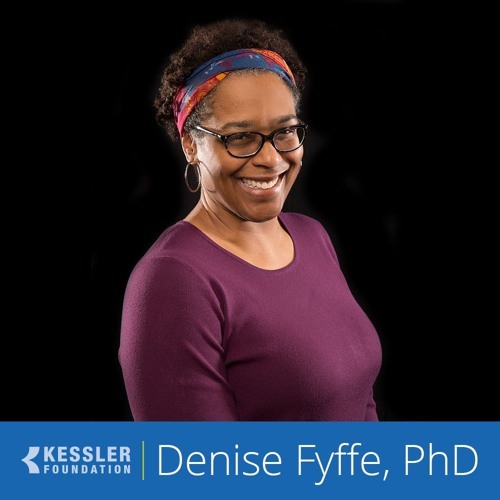 For access to Dr. Fyffe's biography click here Denise C. Fyffe, PhD, is a Senior Research Scientist in Spinal Cord Injury/Outcomes & Assessment Research at Kessler Foundation. She received additional training in cancer disparities from the Institute for the Elimination of Health Disparities at the University of Medicine and Dentistry of New Jersey. Her current clinical and research interests include reducing disparities in the care and quality of life of medically underserved rehabilitation groups. Dr. Fyffe is involved in the development of a quality of life (QOL) measure for use in spinal cord injury (SCI) and innovative interventions to improve outcomes for persons with SCI using the National SCI Model Systems (SCIMS) database. Her work is also investigating demographic, sociocultural and clinical factors associated with disparities in physical functioning outcomes among individuals living with SCI. S Dr. Fyffe is a co-investigator in the federally funded model system based at Kessler - the Northern New Jersey SCI System - and an assistant professor at Rutgers-New Jersey Medical School.